How Much Do Coaching and Writing Cost? We don’t hide the ball. We believe in transparency and we know price can be a consideration, so pricing is available throughout the site. Even so, we’ve provided this short-cut. You can review pricing—and you can sign up—for all our services by using the links on this page. And remember: All services and consultations are provided remotely, allowing us to work easily with clients around the country and the world. 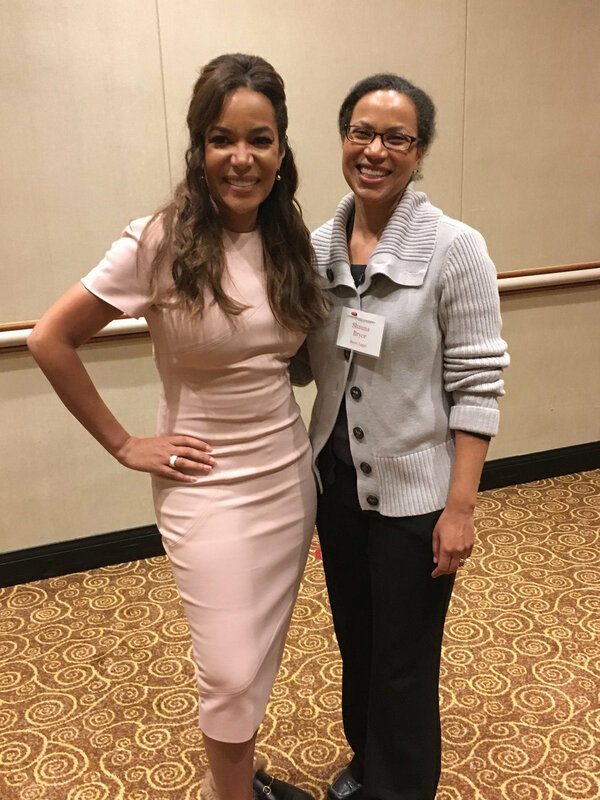 Shauna C. Bryce with Sunny Hostin—Senior Legal Correspondent and Analyst for "ABC News," co-host of ABC's morning talk show "The View," and former federal prosecutor—at a Manhattan conference on legal careers.